What’s inside: A comprehensive list of things every couple should do before a new baby arrives. A must-read resource to prepare during pregnancy. Sponsored by Randalls. With my first baby I totally winged it! While it felt very liberating, I don’t exactly recommend that strategy because when it got down to business time, I was a bit unprepared. Fortunately, I figured things out as I went along and all went well in the long run. However, with a new baby on the way this summer, I promised myself that I would actually put effort into preparing this time. The following is a list of things to do before baby arrives – so you’re more prepared than I was with my first! 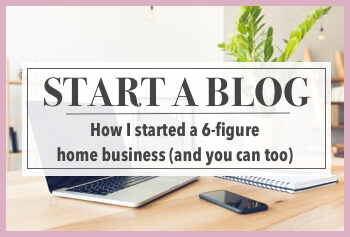 You won’t necessarily need to do everything on the list, but my hope is that it provides plenty of ideas and inspiration so you’ll feel less stressed and more ready. This is your last chance ever to be alone as a couple. But in all seriousness, a new baby (or a second baby) does make it a bit more difficult to get away as a two-some. Whether it is an in-town staycation or an exotic destination vacation, go somewhere with your significant other. Soak up that alone time and enjoy being together without any responsibility…while you can! Not only will it help you relax before the big event, but those memories will last a lifetime! 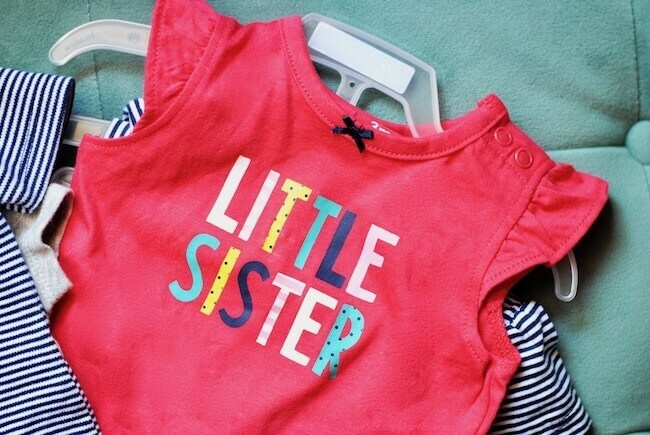 While older siblings are excited to meet a new baby brother or sister, it’s still a huge change for them. It’s important to ease their worries and reassure them that they’ll still be just as special to you as before. As the big day draws near, plan a day that is ALL about your other child (or children). Visit a new playground, treat them to their favorite meal, or even better – let them plan their own day! Interestingly, this also helped me with my own worries. 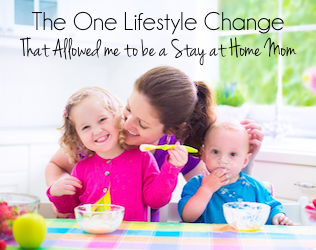 Each time we welcomed a new baby into our home, I couldn’t help but wonder if there would be “enough” of me to go around. These moments with the older sibling(s) were memorable for me as well and reminded me that we can always make time for each child. We are in the middle of this process as I write! Before every new baby, my husband and I deep clean and organize our entire home. For one, it feels better bringing your precious little one into a home with fewer germs and less dust and dirt. Second, there’s way less time to clean once the baby is home! TIP: Break your whole-home deep clean into smaller, manageable tasks instead of trying to get it all done at once. 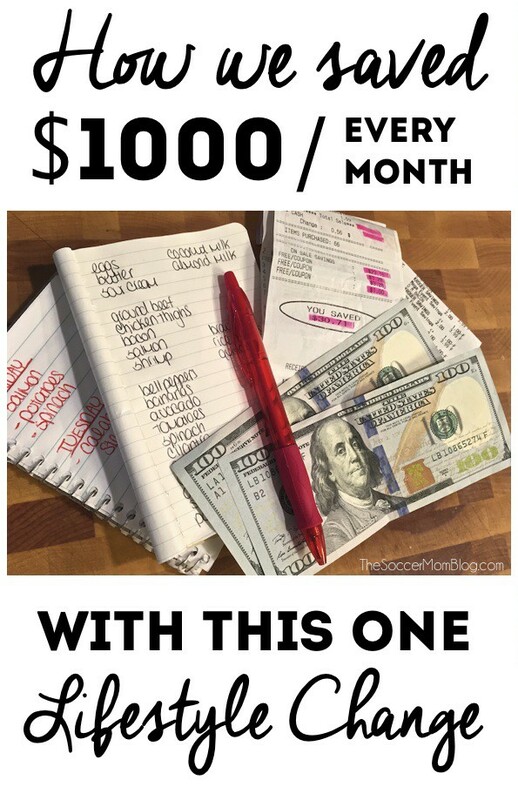 For example, try tackling one room each week for the last month or two leading up to your due date. Clear out clutter to open up space and make it easier to see what needs to be done. Re-arrange furniture if desired, then return all items to their proper place on freshly clean surfaces. Open Nature™ brand (available in my area exclusively at Randalls but you can buy them at any of the Albertsons Companies family of stores, including Albertsons, Safeway, ACME Markets, Jewel-Osco, Vons, Pavilions, Tom Thumb, Shaw’s, Star Market, and Carrs/Safeway.) 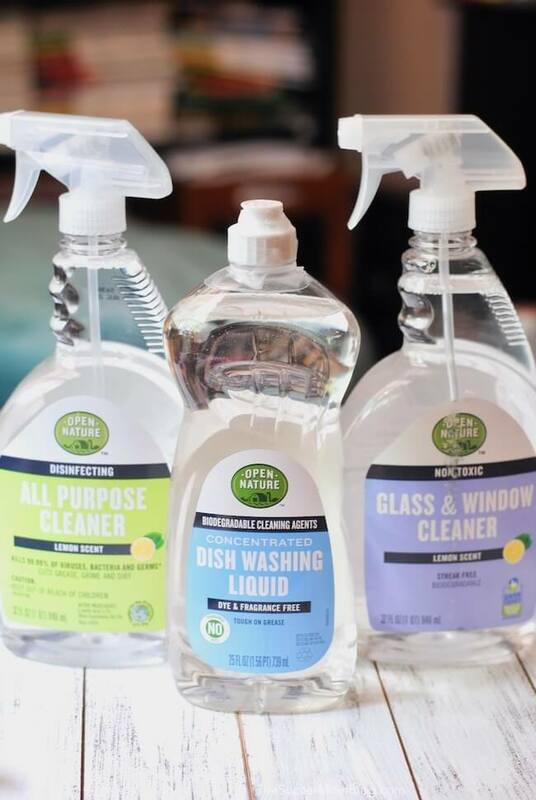 recently added a new line of products: Open Nature household cleaning and care products, and they sent us a care package to try. It couldn’t have arrived at a better time! 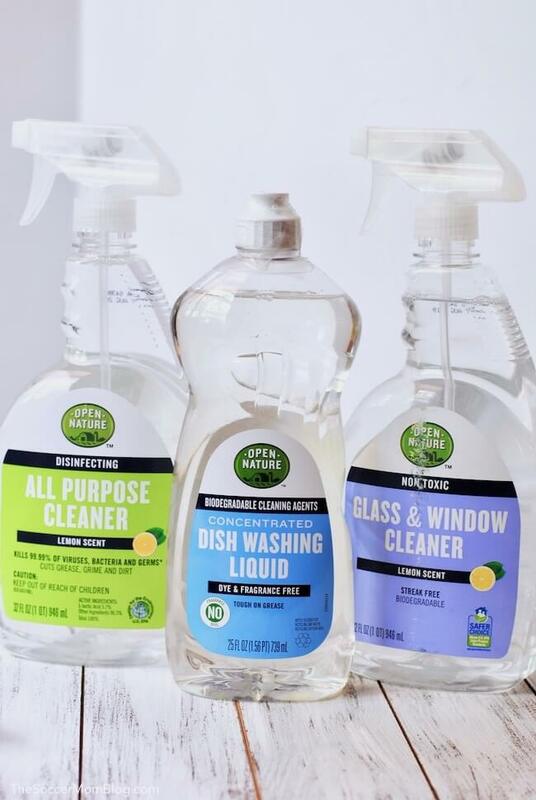 Open Nature cleaning products are designed to be safe for your home and family — they’re dye free, with fragrance free options and items certified as Safer Choice by the US EPA available as well. As gentle as they are around your family, Open Nature household cleaners are tough on grime. They’re premium quality, effective, and perfect for your pre-baby home deep clean! One of our favorite tools for our before baby deep-clean is Open Nature All Purpose Cleaner, because you can use it for so many things. From disinfecting the bathroom (it kills cold & flu viruses) to wiping away tough grease in the kitchen (with biodegradable surfactants), there’s not much this handy spray bottle can’t do! Plus, I love knowing that as we’re going through each room and scrubbing every surface, that we aren’t leaving traces of dangerous substances or dyes behind. Click here to see Open Nature household cleaning and care products, available at Randalls. Even if you’re planning a home birth, it’s a good idea to have a hospital bag packed and ready just in case. Better to have it and not need it, then need it and not have it! (I’m speaking from experience on this one). Make sure to have a bag packed for your husband too! Two sets of extra clothing for mom — Make sure they are maternity sizes! For some reason with my first baby I expected to be back in regular clothes immediately…doh! 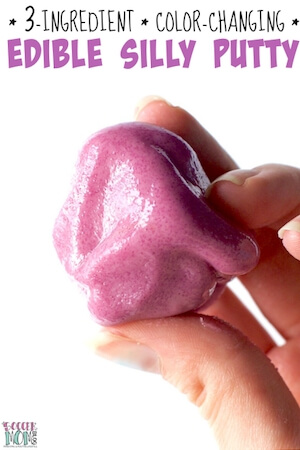 Your favorite snacks — Our hospital menu was disappointing, to put it nicely. This is just a starting point of the essentials you don’t want to forget. There are probably a few more things you might think of to add to your bags. New clothes are often treated with a variety of chemicals to keep them looking perfect while they’re shipped to stores. Believe it or not, there could even be traces of formaldehyde in the fabric! That’s why it’s so important to wash new clothes before they ever come in contact with your new baby’s sensitive skin. (We wash all new clothes that come into our house period). 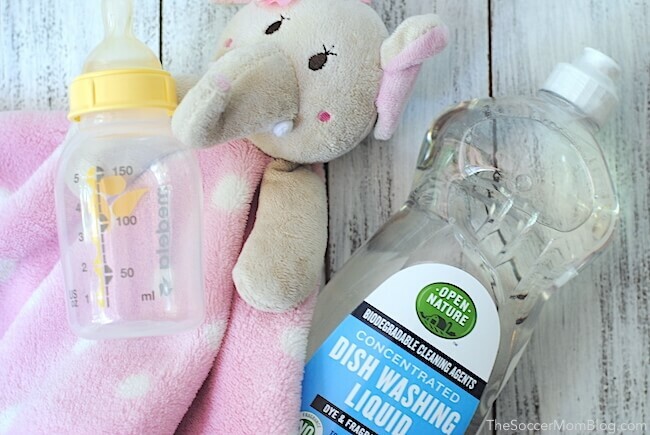 Open Nature offers both fragrance free and sensitive skin laundry detergent options — perfect for the delicate task of pre-washing your newborn’s clothing. Open Nature laundry detergent is also dye free, biodegradable, and free from artificial brighteners. No matter what you exact birth plan contains, you’ll want to know what your insurance covers for every circumstance. Give your carrier a call a few months in advance to find out details and numbers. This is definitely one of the least fun things about preparing for a new baby, but it is one of the most important. Get it done early and breathe easier for the rest of the pregnancy. Even the easiest carseats have a bit of a learning curve when you’ve never used them before, so get familiar with yours as soon as you buy it. A few weeks away from your due date, install baby’s seat in your car and leave it in place. That way when it’s “go time” you’re all ready to go! Related: Brush up on your car seat safety knowledge with this photo checklist. As your due date nears, you’ll want to get the crib in sleep-ready condition. Pre-wash all the sheets (even the spares). You’ll want a few extra sets on hand because there will be nights where you’ll change them once…or twice. Just like with the baby clothes, we trust Open Nature laundry detergent with the task of washing away any traces of chemicals or dyes that might be on the new sheets. Note: The only thing that should be in baby’s bed is a firm crib mattress and a fitted sheet. Never place pillows, blankets, stuffed animals, or bumpers in a newborn’s crib. I didn’t do this with my first pregnancy. BIG mistake. 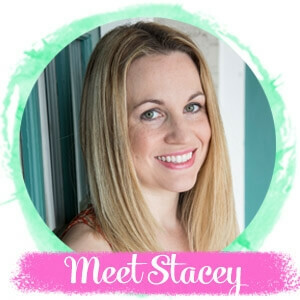 When I needed an emergency transfer from my birthing center to a hospital, I was at the mercy of doctors and nurses I’d never met before. Believe me, I was not in any condition to negotiate my care at that point. This time around, I know to have a detailed plan written out for every possible outcome! Take care of yourself mama! Your body is working overtime for almost a year to bring a new person into the world. Whether it is signing up for a weekly yoga class or simply treating yourself to a blowout, your physical and mental well-being are just as important as any other pre-baby preparation! PS- Make sure dad is taking care of himself too! Buy a breast pump — Bonus: your insurance may cover this expense! 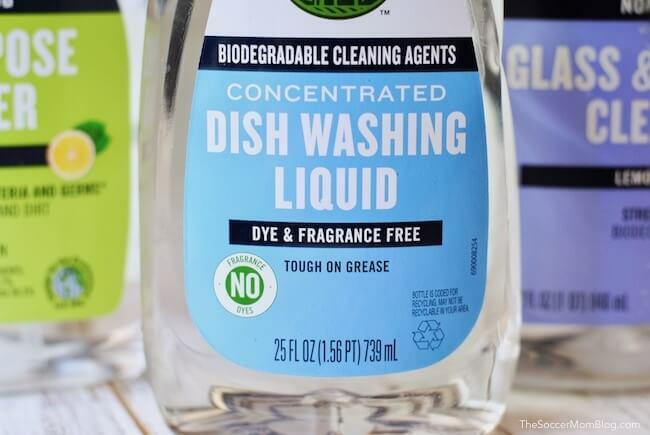 Clean all bottles in advance in warm soapy water (we love Open Nature dish detergent because it’s made with biodegradable cleaning agents, plus it’s dye and fragrance free). Trust me, when a new baby is on the way you’ll want to do ALL the things. However, try not to overburden yourself during your pregnancy. Take time to enjoy the process and let your body do what it takes to grow a healthy baby. Don’t forget to stock up on Open Nature household cleaning and care products to get ready for baby AND for keeping your home safely clean after the baby arrives. Click here to see the full line of Open Nature household cleaning and care products, available at Randalls. This is a sponsored conversation written by me on behalf of Randalls. The opinions and text are all mine.